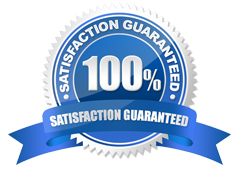 High Performance Carpet Cleaning, LLC in Colorado Springs knows how much you care about your upholstery. Our professionals are formally trained to clean all types of fabric. We successfully clean suede, cotton, micro fiber, silk and any other fabric available. Our deluxe cleaning process is the right choice to keep your furniture looking like new. We reach into the folds of your upholstery using environmentally safe cleaning products to remove soil, dust mites and other debris that can build up in your furniture and cause unpleasant odors. We’ll leave your upholstery looking like new with a fresh scent. Pre-inspection: We inspect your furniture for potentially permanent stains or damage. Vacuum: We thoroughly pre-vacuum the furniture and cushions reaching deep into the crevices. Pre-treat: We pre-treat furniture with the proper solution for each type of fabric and lightly agitate to obtain desired results (agitation is not always applied). 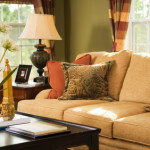 Cleaning: We use a state-of-the-art upholstery cleaning tool to avoid over wetting. Our cleaning process leaves your furniture cleaner and over 40% dryer allowing it to achieve much faster drying times. You’ll enjoy how it leaves your furniture clean and dry. Fabric Protection: we offer a professional-grade fabric protection treatment that works hard at leaving your furniture looking nice and new for many years. Post-inspection: we carefully re-inspect the cleaned furniture with you to ensure your desired cleaning results were achieved.